Whelp. I guess summer is over. That’s what Labor Day means right? The official end of summer (even though the calendar says that technically the end of summer is not until September 22). The end of lazy days by the pool. The end of shorts and flip flops. The end of backyard barbecues and late summer sunsets. Even though I love fall and all of our fall traditions, and even though it seems like the rest of the world is going fall crazy, I sure will miss summer! While most of the world is back to school and fully embracing their fall schedules, this week is my last official week of summer before I finally dive into fall. This week, not only will I be taking one last dip in the pool, hitting up all the summer clearance sales (hoping to wear a new summer outfit just one more time), I will bring you a few last minute summer recipes. A few recipes loaded with zucchini and fresh summer corn and watermelon. One thing I sure will miss is all the summer fruit. All the berries and cherries and peaches… oh my! I will especially miss watermelon. I have been fortunate enough to get my hands on several farm fresh watermelons this year. These watermelons were so sweet and juicy and the perfect summer time snack. I also got pretty creative with watermelon over the last few weeks (since we had an abundance of it) and was throwing it into salads, desserts and drinks. 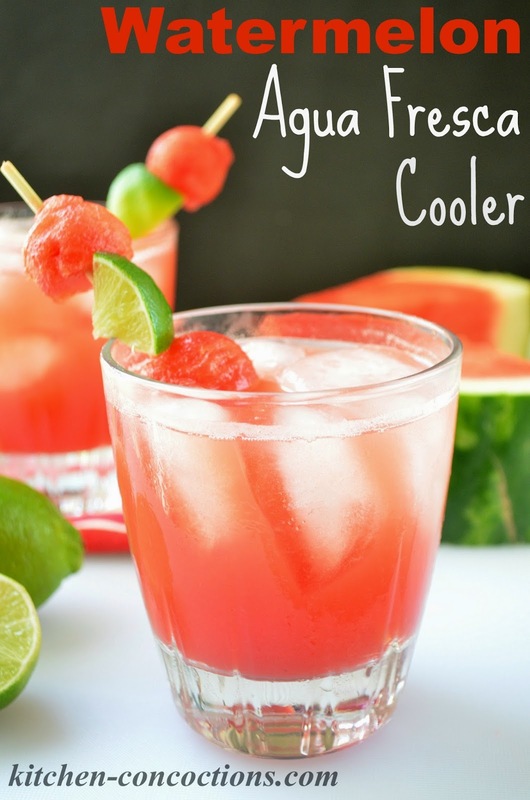 A fresh and refreshing watermelon flavored summer cocktail. Fill a cocktail shaker with ice. 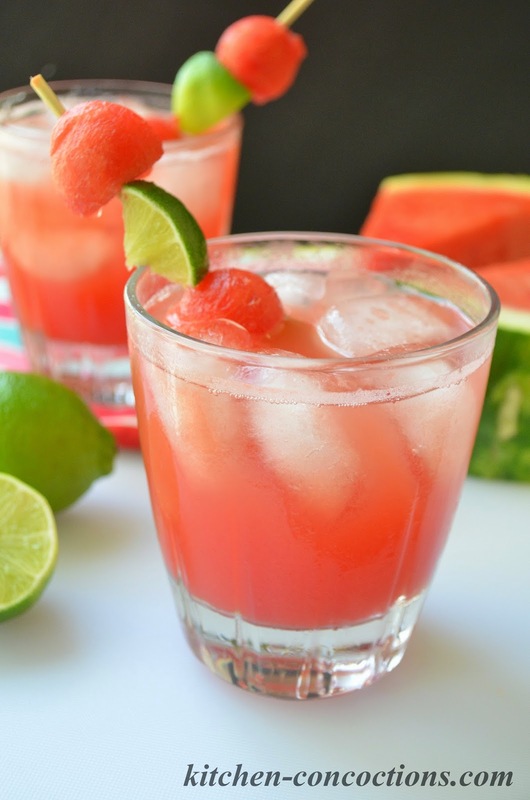 Add tequila, fresh watermelon juice, lime juice and agave nectar. Shake for 30 seconds and strain into rocks glass. 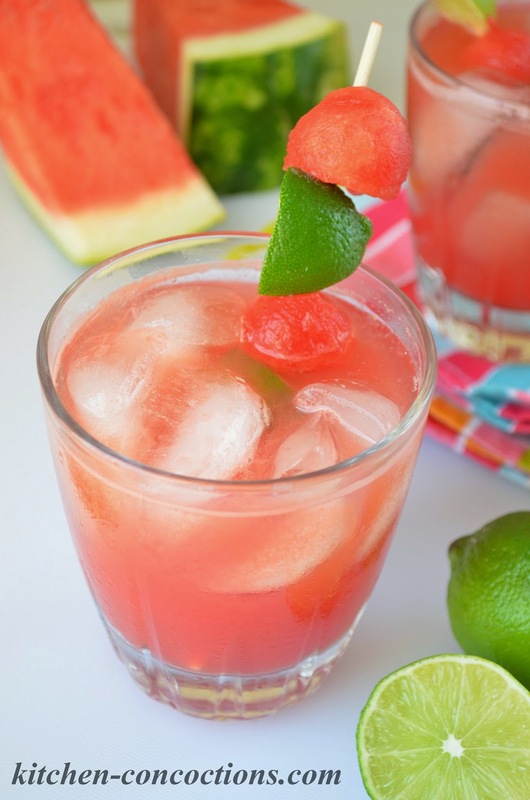 Garnish with fresh watermelon and lime wedges. *Note: For non-alcoholic version, omit tequila and replace with club soda. **Note: To make fresh watermelon juice, place 2 cups fresh cubed watermelon in a blender or food processor. Puree watermelon until liquefied. Using a fine mesh sieve, strain watermelon juice into a large pitcher. 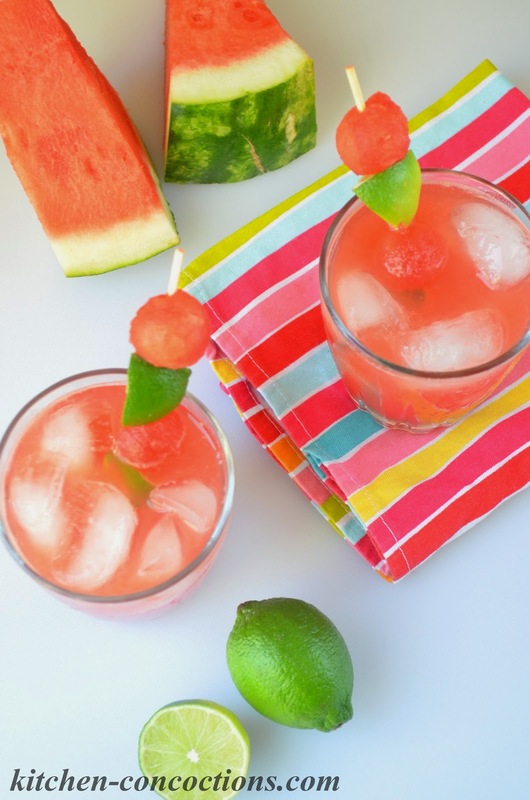 Watermelon juice can be enjoyed immediately, as desired, or refrigerated for 2-3 days. Disclosure: I was invited to a Roca Patrón tasting event but was not required to write this post and I was not compensated in any way for this post. All thoughts and opinions are my own.